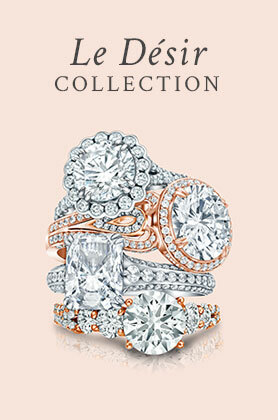 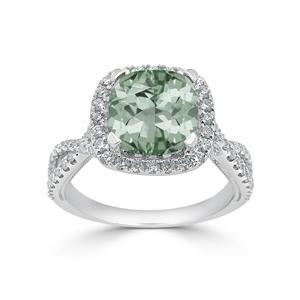 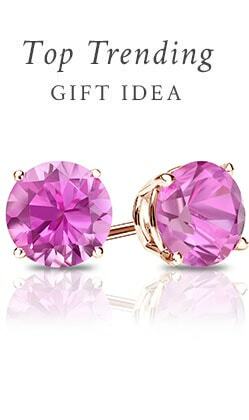 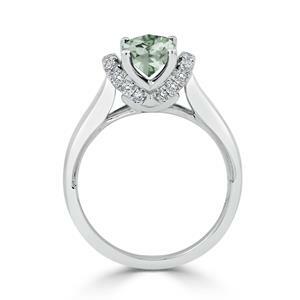 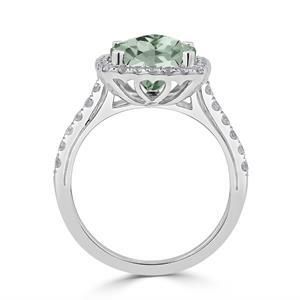 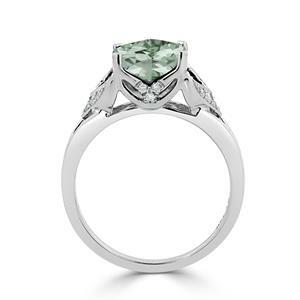 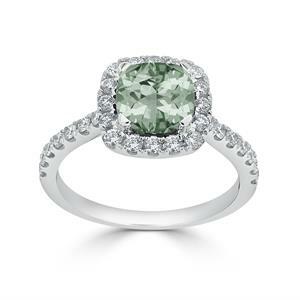 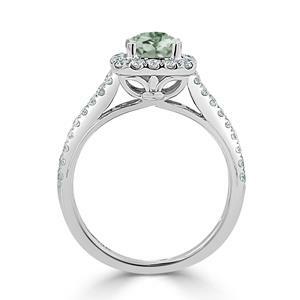 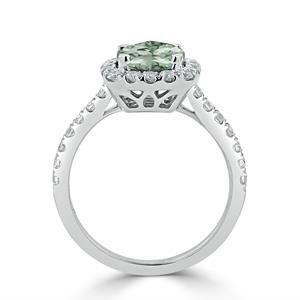 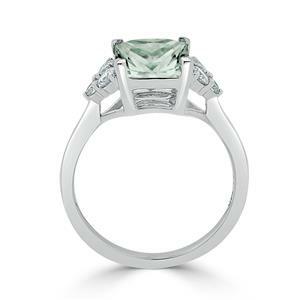 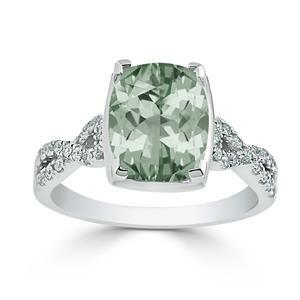 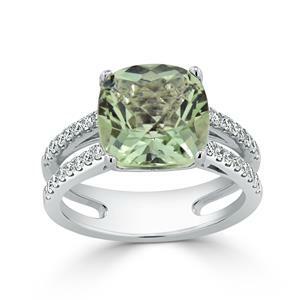 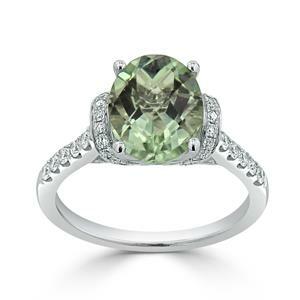 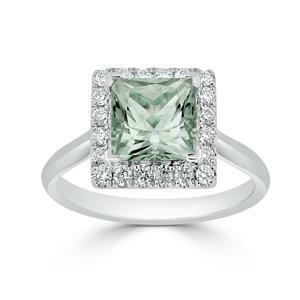 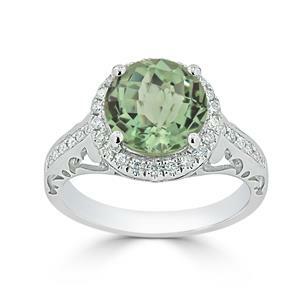 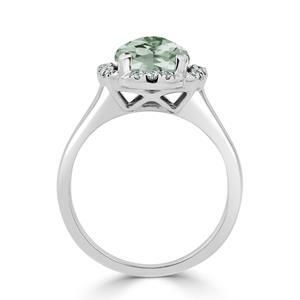 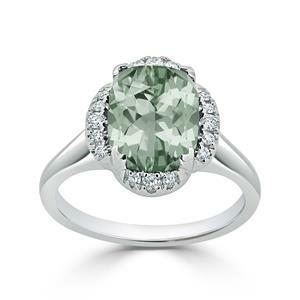 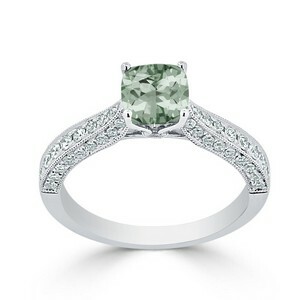 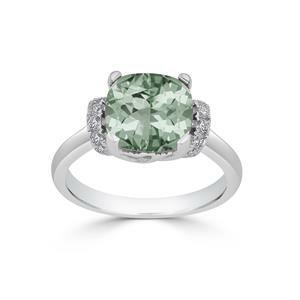 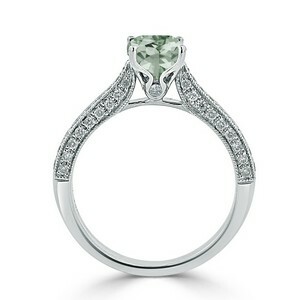 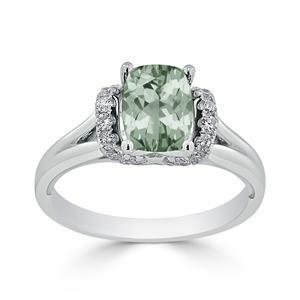 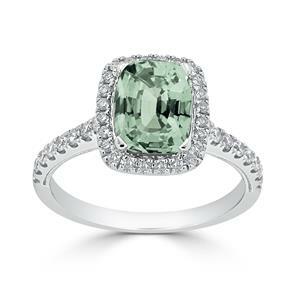 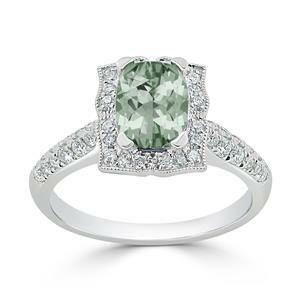 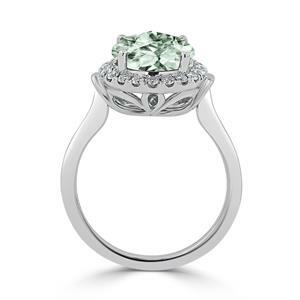 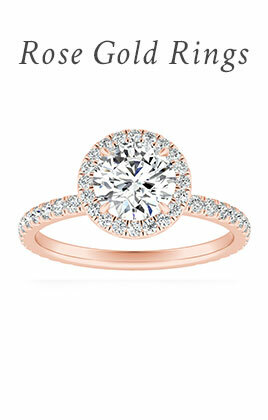 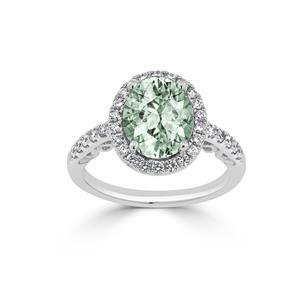 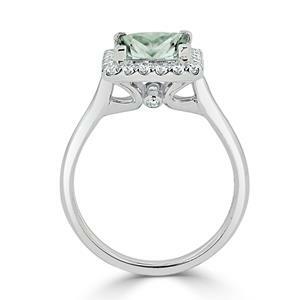 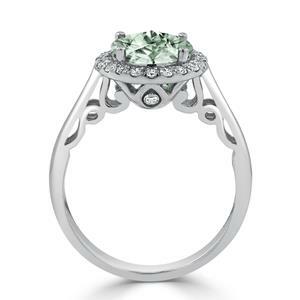 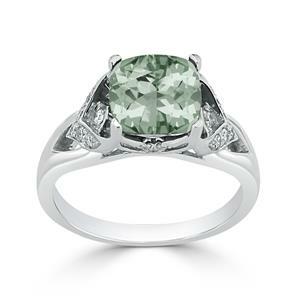 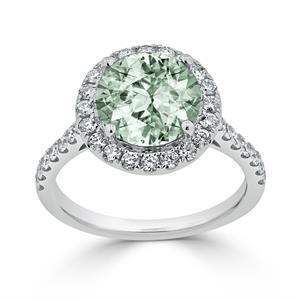 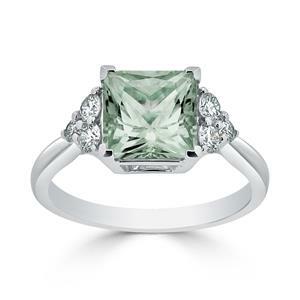 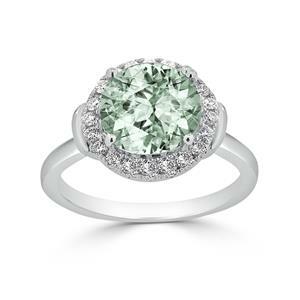 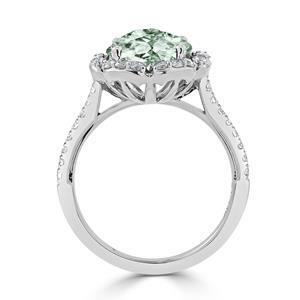 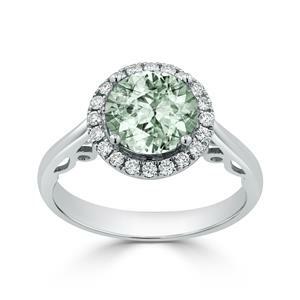 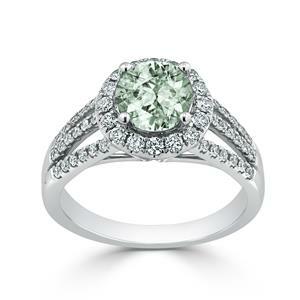 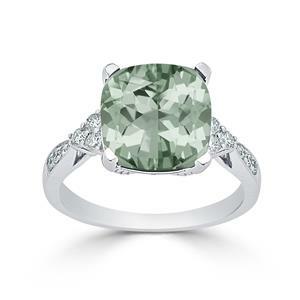 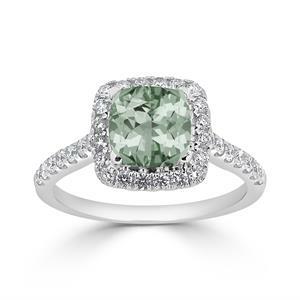 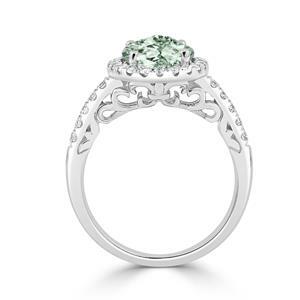 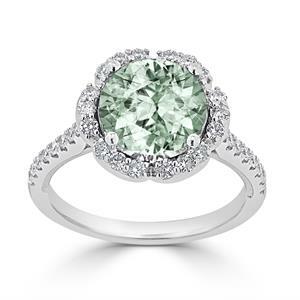 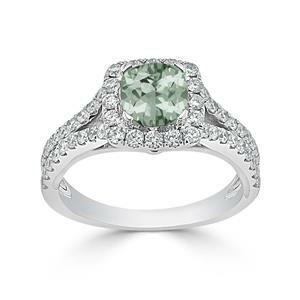 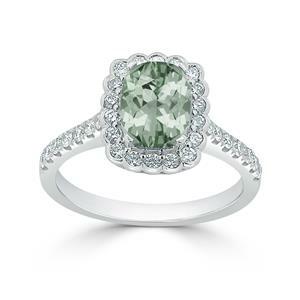 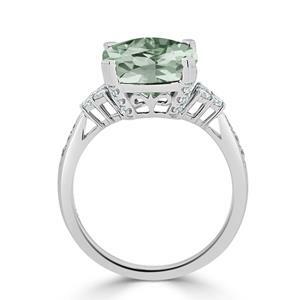 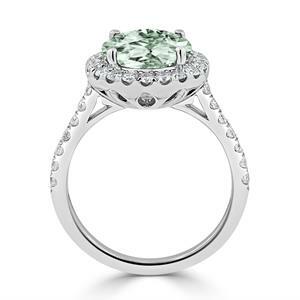 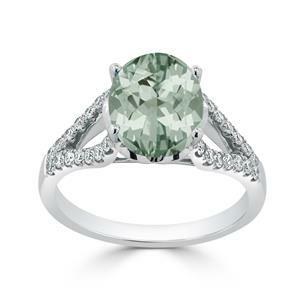 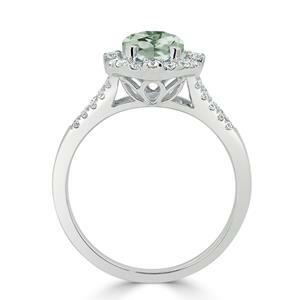 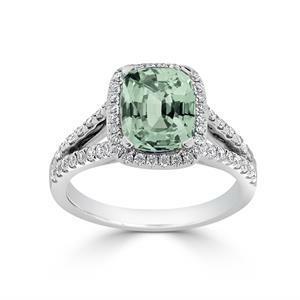 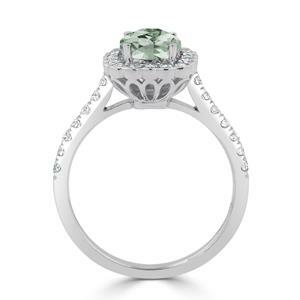 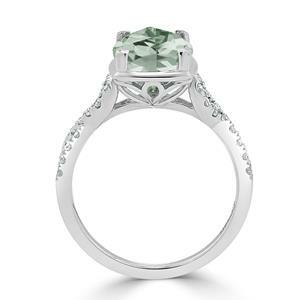 Green amethyst has a beauty unlike any other. 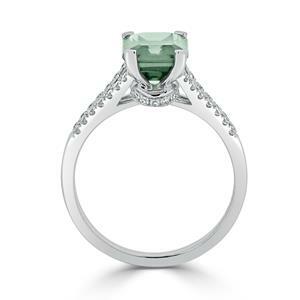 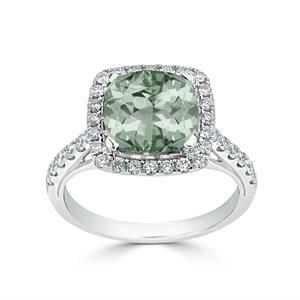 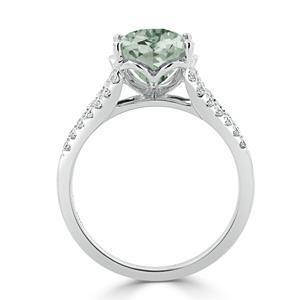 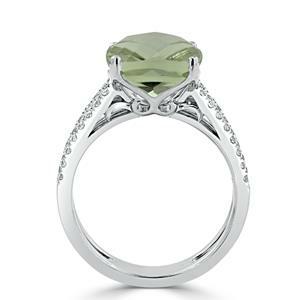 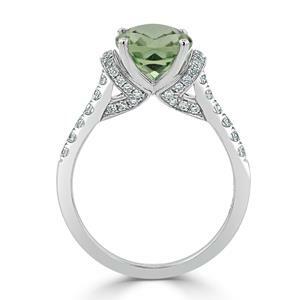 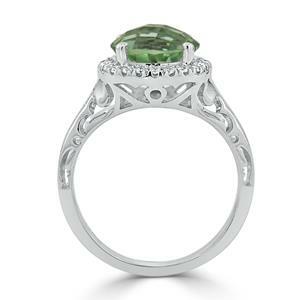 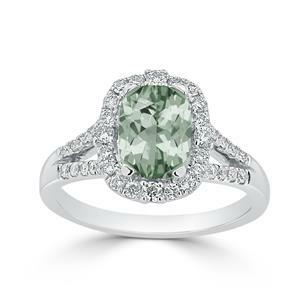 Green amethyst, a pale green variety of quartz, has a gorgeous pastel green hue and a romantic meaning: it’s known to be a stone that opens the heart. 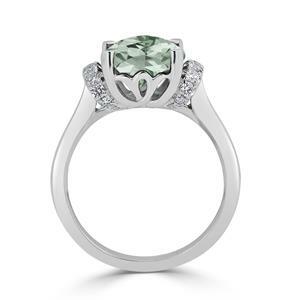 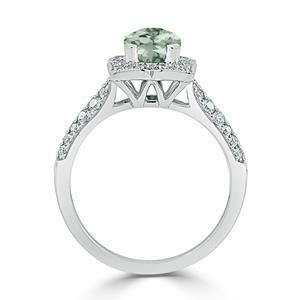 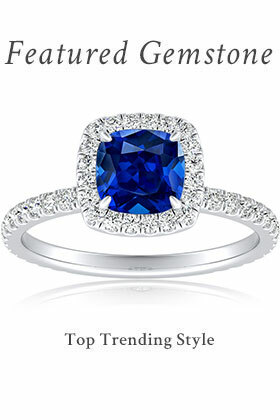 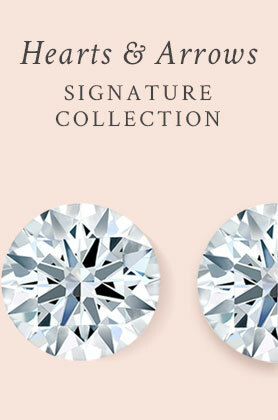 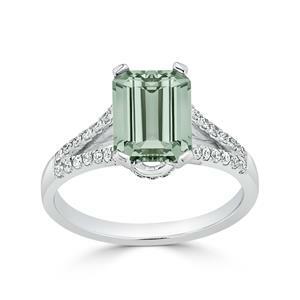 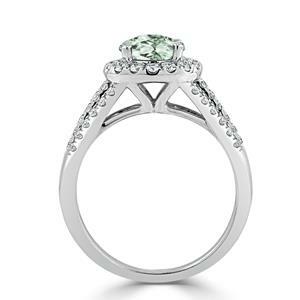 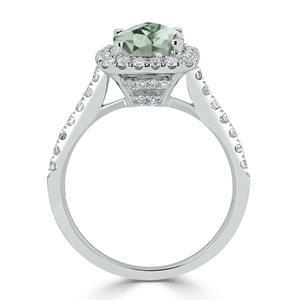 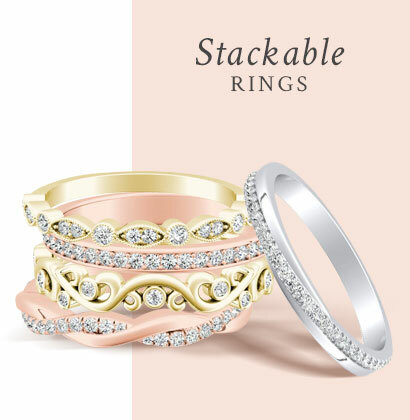 Our wide selection of green amethyst gemstone rings beautifully pairs this distinctive gemstone with precious metals and diamonds, as in our green amethyst diamond engagement rings, creating engagement rings that are luxe, lovely, and unique.